who received her Diploma in Holistic Dietetics and Nutrition in 2004.
registered member of the Irish Association for Craniosacral Therapists. 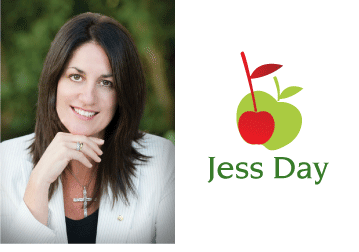 Jess sees her clients on either a ‘one to one’ or group basis, and personally designs tailored Holistic Health and Nutrition programmes for them. energy, sports performance, weight loss, weight gain, hormonal imbalance, fatigue, Intestinal Detoxification sports nutrition and balanced family diets. Jess uses a combination of food combining and lifestyle changes for maximum results. Jess has written many health articles for local and national newspapers, and has also been Nutrition Advisor to the Kildare GAA Football Team, some of the Management and players of the Dublin Football Team. Including Olympic and world champions. Heart Disease is the number one cause of death in Irish woman.By changing your, diet and your lifestyle you can help maintain a healthy heart. Cholesterol is a major risk factor for heart disease and by understanding foods and how to put a healthy diet plan together, it can play a very important role in managing heart disease. Along with other problems such as high blood pressure,diabetes and being overweight. The Programme for better Bones is the natural, effective way to reduce your fear of osteoporosis by taking control of your own bone health. Jess Day’s exclusive at-home program follows the same approach she’s already used to help hundreds of women regain and maintain strong, healthy bones. contact Jess directly on (087) 9769751.